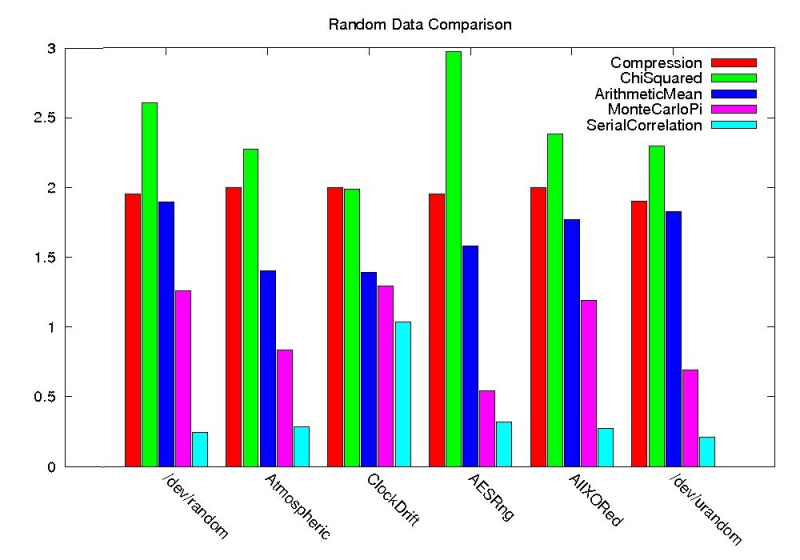 This is a comparison between AES encrypted partitions versus the filesystem tests previously done. 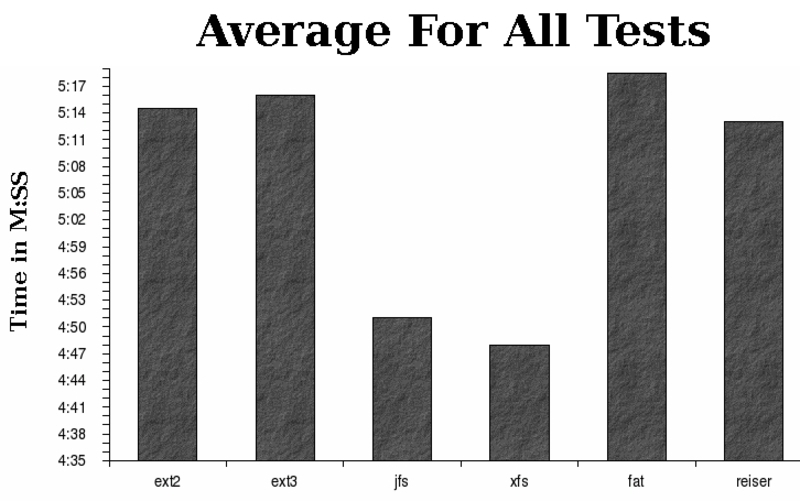 It is exact same tests, only many more trials were done, and there were varying levels of encryption used. All tests were done on a 'naked' system, with just enough installed to log in, use dm-crypt(Without LUKS), make the filesystems, compile, and run the tests. Also all the filesystem and encryption code was compiled into the kernel, instead of being modules. 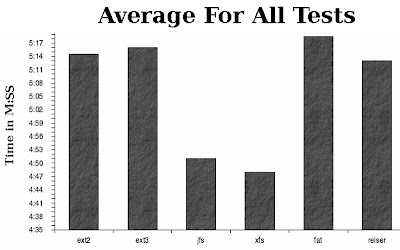 As always JFS and XFS are the clear winners, with XFS slightly better in all the tests. Also encryption is surprisingly quick, averaging less than a percent of overhead (Except for Reiser). Also after several runs I could never see a big difference with or without SHA256 hashing and sector salt. 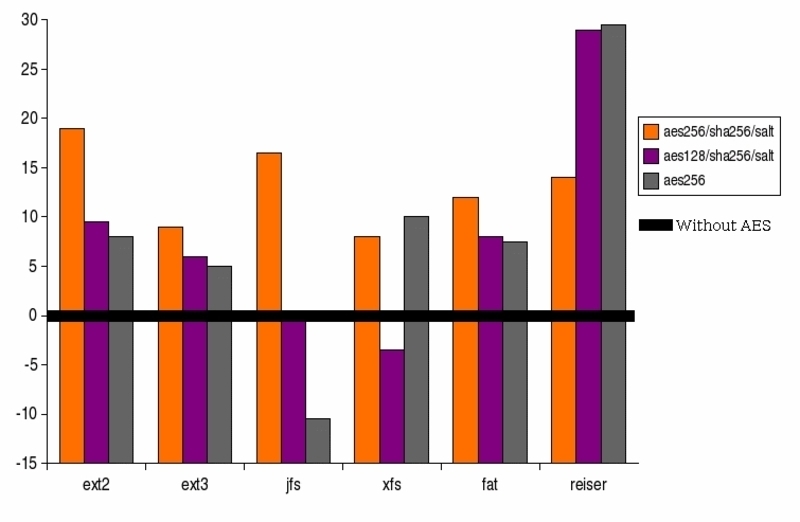 Based on this testing I've been using 128 bit AES with salt and SHA256 hash with XFS on it with no issues, but any other filesystem(Besides Reiser) would probably be just fine. Without taking the obviously easy personal attacks, I just want to know what the hell is wrong with ReiserFS? I know it's supposed to excel at dealing with many small files, but it's ridiculous how varied the times are. Sometimes copying a 2GB file takes so long that you think it has stalled, other times it goes in under a second making you think it wasn't copied at all. It's mind numbingly painful to use, and slow in general (I've heard that Reiser4 is about the same if not worse). Couple that with the fact that 'fixing' it may further corrupt data you'd have to be a complete masochist (Or maybe a homicidal maniac) to use it.